The so-called Ultimate screamo Band is actually not a band. It is fundamentally a one-person recording project. The idea behind this name is not the claim this project is « the best » or « the ultimate one » but rather that this project is a sort of exercise in style heavily influenced by a few bands of the past that some of us call « screamo » or « emoviolence ». 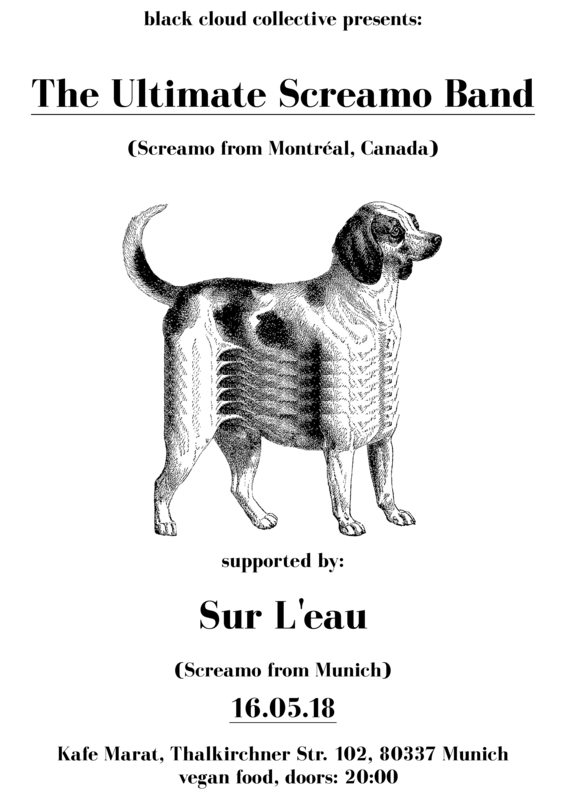 sur l‘eau is just a lowlife screamo/emoviolence band from munich. Veganes Essen und Getränke geboten.